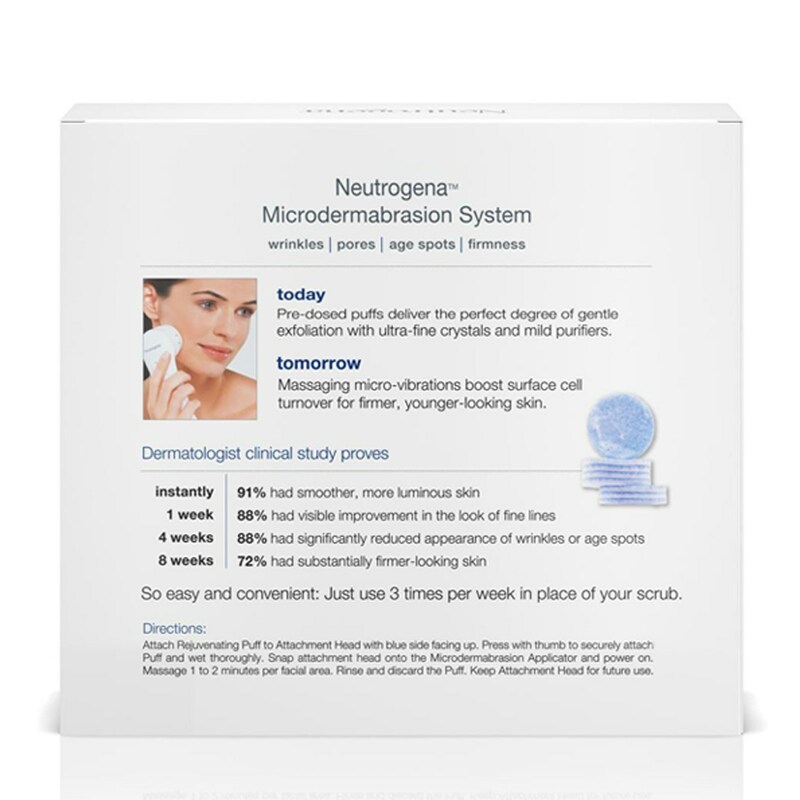 Your Neutrogena Microdermabrasion System starter kit includes everything you need to revitalize your skin for one full month. 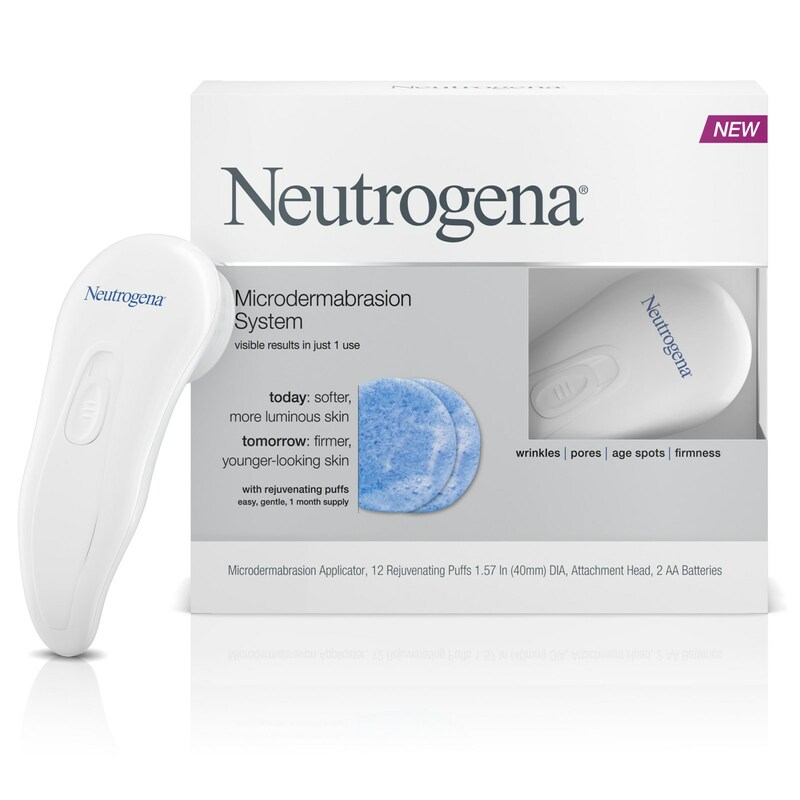 Massaging micro-vibrations boost surface cell turnover for firmer, younger-looking skin. So easy and convenient: Just use 3 times per week in place of your scrub. Attach Rejuvenating Puff to Attachment Head with blue side facing up. Press with thumb to securely attach Puff and wet thoroughly. Snap attachment head onto the Microdermabrasion Applicator and power on. Massage 1 to 2 minutes per facial area. Rinse and discard the Puff. Keep Attachment Head for future use. Caution: For external use only. Avoid the eye area. Not for use in conjunction with other physical or chemical exfoliating agents. 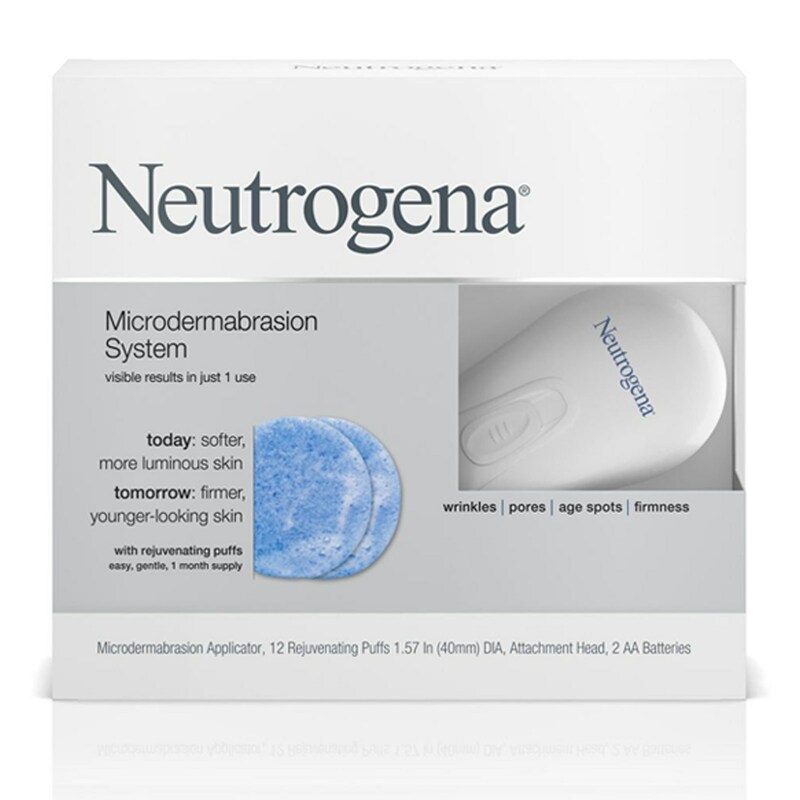 Do not use on broken or abraded skin or if you have Rosacea or Pustular acne. Discontinue use if irritation or rash occurs. Do not immerse System Applicator in water or place under running water. Keep out of reach of children. Use only as directed. Microdermabrasion Rejuvenating Puff Refills are sold separately.